In order to understand whether greenhouse gases are destroying the planet, one must first understand what a greenhouse gas is and the mechanism by which such a gas could potentially impact the temperature of the Earth. The temperature at its surface and adjacent atmosphere where climate is experienced, is controlled by a balance between how much energy enters the Earth’s surface, primarily from light from the sun, compared to how much energy leaves the planet and escapes into outer space. This energy is what drives differences in temperature and pressure that control the wind and circulation patterns of air and water. It is required to evaporate all the water that forms clouds, storm systems and precipitation. Sunlight contains a variety of wavelengths, reacting differently with solid material. Of most importance to climate is visible light and infrared light rather than X-rays that can penetrate the body and ultraviolet that causes sunburn. About 30% of incoming sun light is reflected back into space by clouds, particles in the atmosphere, and the earths surface itself, transferring no energy to the earth. Twenty percent of the incoming radiation is absorbed by the clouds. The remaining 50% is absorbed by the earth. (1). That is the energy that powers the earths’s weather and climate. The heat absorbed at the Earth’s surface creates air currents, winds and waves. It also evaporates water from the oceans into the atmosphere as clouds. Although much of the energy is recovered when water vapor condenses and falls as precipitation, the net evaporation-precipitation cycle consumes around 20% of all solar energy. Because the surface of the Earth is much cooler than the sun, the wavelengths of the Earth’s radiation are almost twenty times longer than those emitted by the sun. This means that most of the energy emitted by the Earth back into outer space is infrared (IR) radiation that is invisible to the human eye but can be felt at a distance as radiant heat from warm objects. Of this heat it is estimated that most escapes unimpeded into space while greenhouse gases temporarily absorb the remaining small amount that keeps the planet at a livable temperature unlike that of our sister planets in our solar system. The proposed mechanism for man-caused global warming sometimes called, anthropomorphic global warming or AGW, is based on the premise that greenhouse gases injected into the atmosphere by humans are causing more of this radiated heat to be temporarily captured, shifting the Earth’s energy balance in favor of heating. Some molecules are highly efficient at capturing IR radiation, while others are not. The two most prominent gases in our atmosphere, Nitrogen (78%) and oxygen (21%) are transparent to IR radiation and thus do not absorb much of the heat radiated into space from the Earth’s surface. Gases that are not transparent to IR radiation are called greenhouse gases and their impact can be quantified by multiplying the ability of a single molecule to absorb radiation times the relative number of molecules that are present in the atmosphere. The efficiency with which all major greenhouse gases absorb infrared radiation has been measured (2). The most vilified greenhouse gas is carbon dioxide, as this gas is tied to fuel emissions. However, the global warming lore often states that methane is thirty times worse in terms of its impact, especially when the goal is to attack the meat industry. The tiny amount of methane emitted by man and beast into the atmosphere is insignificant. On a per molecule basis, the primary greenhouse gas in our atmosphere is not carbon dioxide or methane but rather water vapor. A single water molecule absorbs over twice the heat of either CO2 or CH4 (methane), but the actual effectiveness of water as a greenhouse gas is far greater than the factor of two associated with single molecules, because of the massive volume of water molecules present in our near surface atmosphere. Only 400 molecules out of a million are carbon dioxide in our atmosphere. On average there are 70 times more water molecules in near surface air than molecules of carbon dioxide each absorbing twice the heat of CO2. Water absorbs 140 times the heat of CO2. The picture should be coming clear now. On a percentage basis, atmospheric CO2 absorbs less than .74% of the heat absorbed by atmospheric water vapor. The above numbers include all of the CO2 rather than the contributions made by humans. If one makes the erroneous assumption that all of the 25% increase in atmospheric CO2 concentrations observed in the Industrial Age is due to burning of fossil fuels then the maximum human contribution to greenhouse gases that trap heat near the Earth is .25%X.74% which equals .2% or one part per 500. Such a low value of additional heat is below our ability to detect. This is why in spite of all the claims of man caused global warming no one has come up with a number of degrees of temperature that can be attributed to it. Man caused climate change advocates do not want to talk about water for obvious reasons. Essentially all absorption of heat radiated from the Earth occurs close to the surface where both water vapor and clouds are prevalent. The outer atmosphere has a negligible impact on the Earth’s temperature. In summary, water, both in water vapor and in clouds, is by far the most important greenhouse substance on earth, dwarfing any effects attributed to the concentrations of CO2 in our current atmosphere which is so low that they have a negligible impact on our climate, let alone the concentrations of these gases that are attributed to human activities. Humans can continue to burn fossil fuels and eat meat without worrying about destroying the planet due to global warming. However there is now an industry of so called scientists financially supported by governments around the world to prove through mathematical tricks that carbon dioxide is more important than it is by many orders of magnitude. Their success in convincing a scared public of this fakery contributes to the opportunity for governments to increase control over their citizens, reduce individual freedom and install more failed socialism throughout the world. 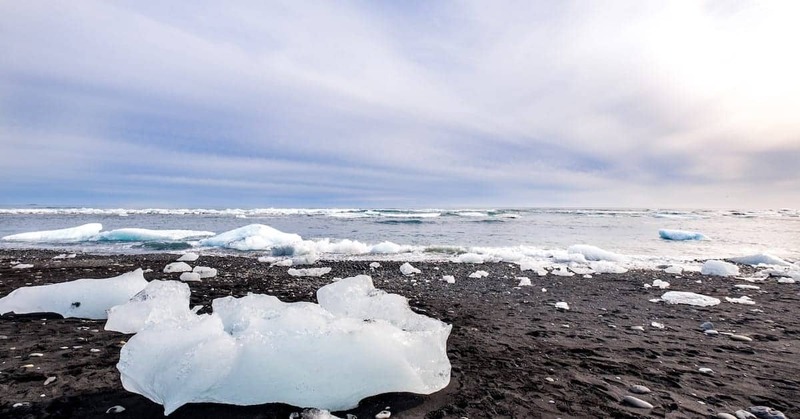 Portions of this article have been excerpted with permission of the publisher Moonshine Cove and the author of the 2018 book The Mythology of Global Warming by Bruce Bunker, Ph.D. For more information on this subject the authors strongly recommend this book as the very best source for accurate information on the climate change debate.